this show is fantastic, for me it's the perfect Saturday Night show, a bit serious and loads of fun, music, creativity, talents, entertainments ans emotions. the 11th series is going crazy, it's just awesome beyond description from the props, production, music, costumes, Makeup, Pro's, themes and fun, as will as genuine lovely people and creative hilarious new professionals. Iveta was the best Pro of this series in terms of Creativity, imagination, and great choreography. Kevin Clifton is making the Cliftons, Grimsby, the Whole UK nation proud with his difficult proper choreography and immense energy. 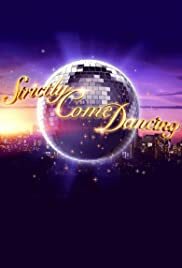 even the Long standing Brendan Cole found a partner whom pushed him to the limit with his Choreography, he's creating lovely pure dance routines this series. I'm more in love with the show this year because from top to bottom it's mind to perfection, apart from Sir Bruce sadly who get's worse with time. I never think that the wrong people being voted off, because it's a vote and everyone who puts hours and hours in training deserves to stay whatsoever specially because of the passion they deliver, there's no prize money or contracts or dreams might come true if they win, it's just done for the pure Joy and entertainment. I envy every single person involved even the tea boy! enough said That I am Happy all the way through, sometimes, laughing so hard that I might fall from the sofa, and enjoy this Magical world. perfect Saturday night where I'll never say "my night was wasted" never !